Royal Caribbean International, one of the world’s leading cruise ship operators, has chosen Optimarin to provide its USCG compliant Optimarin Ballast System (OBS) for three flagship vessels. The Norwegian-based ballast water treatment (BWT) specialist has now retrofitted its market-proven technology on Independence of the Seas and Mariner of the Seas, with installation on Grandeur of the Seas set for Q1 2019. “An agreement of this nature with a world-renowned operator is very special,” commented Optimarin CEO Tore Andersen. “Royal Caribbean leads the cruise market in terms of passenger experience, vessels, service standards, and environmental performance, and these three ships are some of the ‘stars’ of their growing global fleet. “The fact Optimarin has been selected provides not only an endorsement of our simple, reliable and market proven UV-based technology, but also demonstrates that world leaders turn to us when it comes to ensuring total global compliance. We have always been a regulatory frontrunner, since our very foundation in 1994, and were the first manufacturer to achieve full USCG approval in December 2016." “That means we don’t simply provide systems, we provide peace of mind. 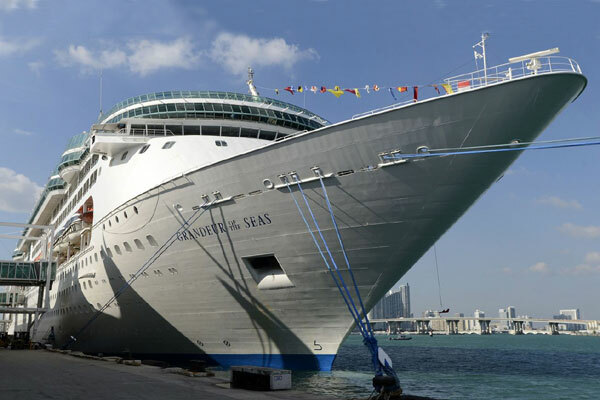 For a ‘heavyweight’ cruise champion like Royal Caribbean that is priceless - allowing optimal fleet flexibility, no matter where their business takes them,” Andersen said. Optimarin’s systems are modular in construction, allowing them to be retrofitted in almost any vessel, regardless of space restrictions – a crucial factor for these feature-packed ships. The Grandeur of the Seas, Independence of the Seas, and Mariner of the Seas are key members of Royal Caribbean’s 25-strong fleet. Together with the operator’s other innovative ships, they offer state-of-the-art entertainment and industry-acclaimed programming that appeals to both families and adventurous vacationers. Royal Caribbean has been voted ‘Best Cruise Line Overall’ for 15 consecutive years in the Travel Weekly Readers’ Choice Awards. Optimarin has a unique track record in the cruise segment. The BWT specialist installed the world’s very first commercial treatment onboard the Regal Princess in 2000. Since then it has gone on to win contracts from customers such as Hapag Lloyd. Optimarin has now sold approximately 700 OBS units, with more than 500 installed and operational, of which approximately 250 are retrofits.